Michael Inside, Drummer and the Keeper, An Beal Bocht and Rocky Ros Muc among winners. On Sunday July 16, 2017 the 29th Galway Film Fleadh came to a close, following another year of impressive Irish and international film premieres, screenings, workshops and discussions. The annual awards ceremony took place after the Irish Premiere of Christopher Nolan's Dunkirk. Winners listed below. The Galway Film Fleadh is a qualifying festival for the Academy Awards, recipients of the James Horgan Award for Best Animation and Tiernan MacBride Award for Best Short Drama will qualify for Oscar nomination. 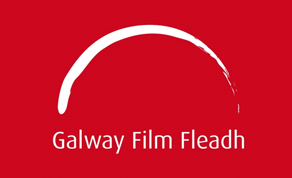 The Galway Film Fleadh emphasises the important foundation of good story and scriptwriting in the audiovisual industry though this award in which feature films are pitched to a panel of industry professionals and awarded a cash prize for development of their scripts. The jury felt this was a perfectly pitched project – a true story that doesn’t feel like a documentary because it has great emotional depth and truth. This award recognises the breakthrough talent of Irish filmmakers and is named in recognition of the contribution and help of our departed friend and supporter Bingham Ray.